We’ve all been there. You’re a brand new mom with a new baby and you’ve tried everything to calm your newborn so you could put them to bed. As you walk around your house like a sleep-deprived zombie, you feel overwhelmed as you’re trying to navigate the trial and error of motherhood. That’s where SoundBub by WavHello comes in. 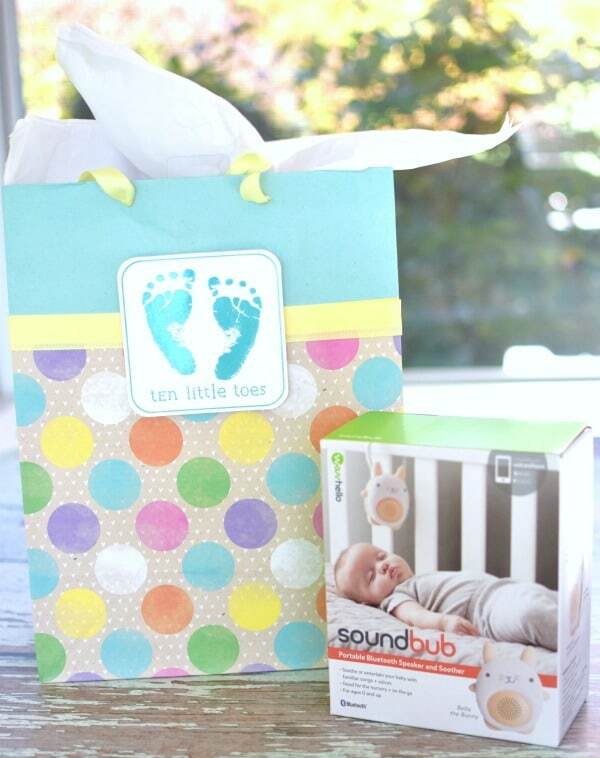 SoundBub is the ultimate baby shower gift for mom-to-be and will definitely be your go-to whether you’re at home or on-the-go! Any expectant mother will tell you that putting together your baby registry can be stressful. 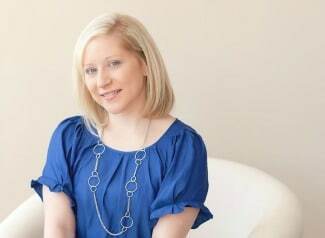 As a first time mom, you’re overwhelmed with all of the baby products on the market. You ask yourself, “What do I need?,” “What’s most important?,” and “What do other moms suggest?” As you’re trying to get your head to stop spinning while putting together your wish list, think of this … babies LOVE white noise! Yep, it’s true! When I had my son, one of the first things I was told was to use white noise to soothe and calm him before putting him to sleep. SoundBub is compatible with WavHello’s VoiceShare app, where loved ones can record voice messages, lullabies, or mix/edit their own creations. It’s easy to play this special content through SoundBub. This is perfect for family living far away or even parents who are deployed who want to send messages while they are away! The special hide-away handle makes SoundBub perfectly portable. It can hook onto any stroller or car seat, or stand on any flat surface. It makes outings much less stressful! SoundBub comes pre-loaded with two white noise tracks that you can activate with one touch of its “bellybutton.” More white noise tracks and other soothing content can be accessed within the VoiceShare app. SoundBub is made of chew-safe materials. 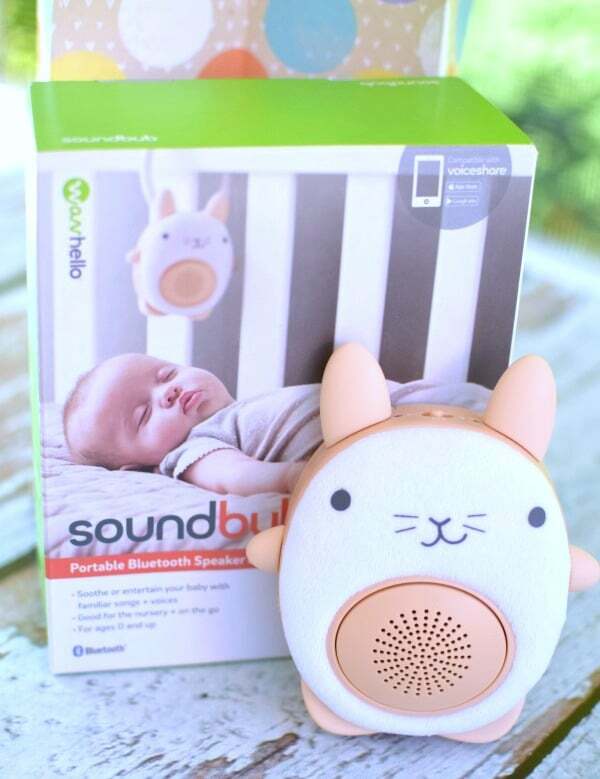 SoundBub has 30, 60 or 90 minute timers you can set or you can choose continuous play. 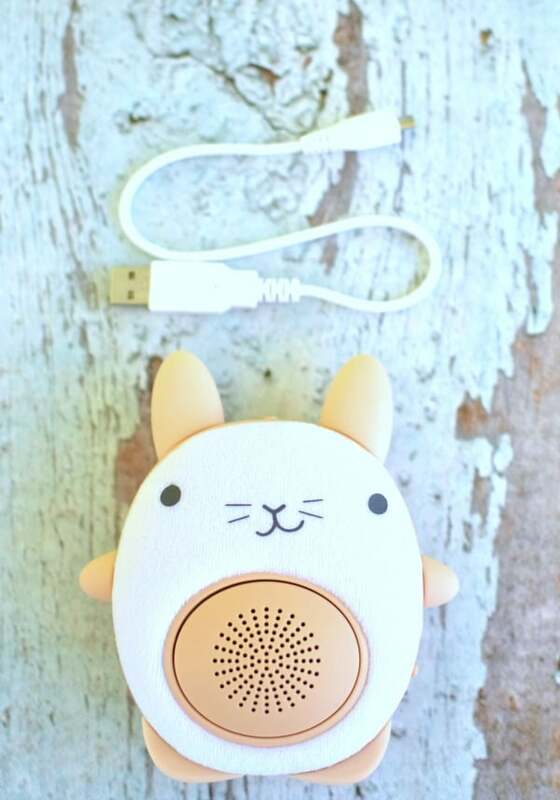 SoundBub by WavHello is not only great for babies, but kids love it too! My son was absolutely smitten with Bella the Bunny and quickly added him to his group of bedtime buddies. As a parent, I have to tell you SoundBub is so easy to use. First, I made sure the rechargeable battery was ready then I downloaded the free VoiceShare app on my iPhone. 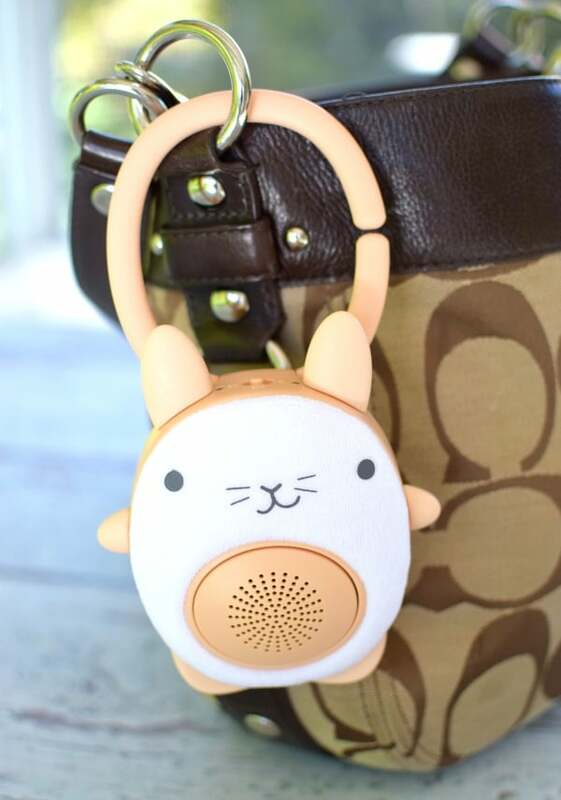 Next, I connected my SoundBub to the Bluetooth on my phone then Dad recorded himself reading my son’s favorite bedtime book. This is perfect for our family since Dad works rotating shifts and cannot always be home for bedtime stories. 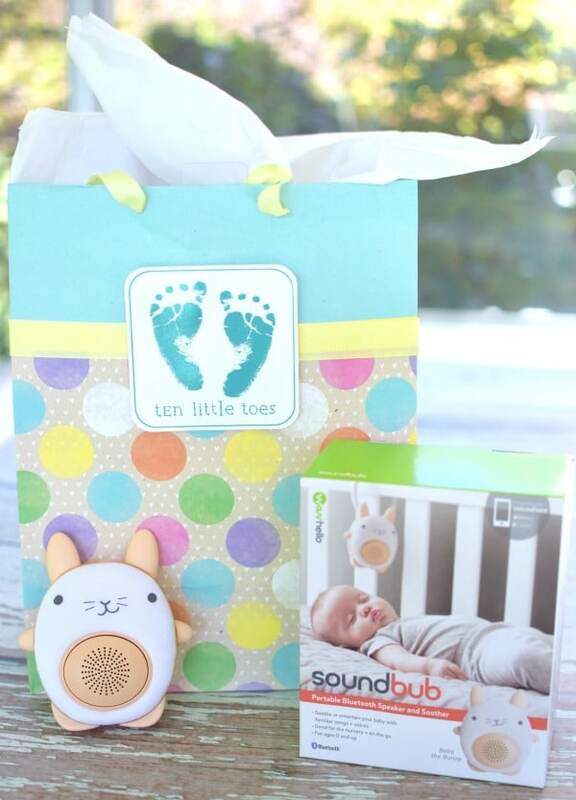 If you’re looking for the perfect baby shower gift or if you’re a mom-to-be looking for the perfect item to add to your baby registry, I recommend SoundBub by WavHello. 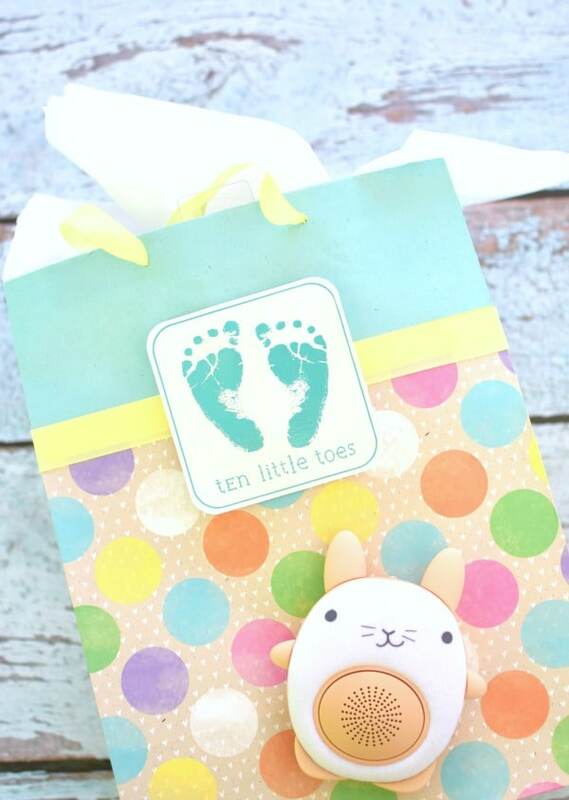 You will quickly see it’s the ultimate baby shower gift and the one baby product you or your baby can’t live without.